Lynne from Cafe Lynnylu is hosting this edition of Weekend Herb Blogging and this week I'm focusing on Umbria and their prized Castelluccio Lentils. While Puy lentils have won the marketing war and are considered a superior legume, the reality is that these Castelluccio lentils are in a class by themselves. They may not be considered as pretty as Puy but I find their delicate hues quite appealing - but really, you'll only ever know just how great these lentils are by cooking with them. Paalo isn't the greatest fan of legumes but will do the right thing and eat what is put in front of him, to have him actually ask if there were more of these lentils, left me gobsmacked. These lentils don't need any pre-soaking - just boil them in water or stock for about 20 minutes and they are done. I've presented them in quite a traditional way - teaming them with pork sausages and flavouring them with a tomato based soffritto. At the base of just about every Italian stew or braise is the soffritto - though the exact mix will vary depending on where area you come from, I use my mother's Emilia-Romagna version which is a mix of finely diced onions, carrot and celery that is slowly cooked in a mix oil and butter. Sometimes you can add herbs like sage and rosemary, it really just depends on the dish you'll be making. As I'll be using pork sausages, I've added a few sage leaves to this soffritto. Pour a good dollop of olive oil and a knob of butter into a heavy based saucepan and place on a medium heat - when the butter has melted, tip in the onions, carrots and celery along with a couple of sliced sage leaves. Cook slowly, allowing it to soften but not colour - this should take about 15 to 20 minutes. When you start to see that the vegetables are starting to develop colour add in the chopped tomatoes and a little stock or water and allow it to simmer and reduce for another 15 to 20 minutes. Place the lentils in a pot with a couple of cloves of garlic and generously cover with cold water. Bring to a boil and then simmer until the lentils are tender - about 20 to 30 minutes. Drain and discard the garlic. but feel free to substitute with your favourite. These are quite dense and meaty and not very fatty at all. 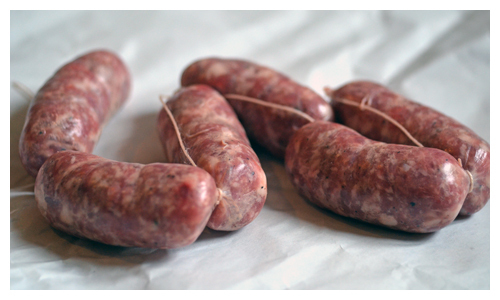 In Umbria, they also have another sausage called Mazzafegati - which adds pork liver to the sausage mix. Either grill or saute the sausages until golden and just about cooked through. Slice the sausages in half at the diagonal. Once the liquid in the soffritto has reduced add in both the cooked lentils and sausage - top up with a little more stock and simmer for 15 minutes to allow the flavours to mingle and the liquid to reduce. Serve in bowls with shards of parmesan and good, crusty bread. It's hard to explain why these lentils are so good but it may be a combination of their small size and lack of mealiness combined with their ability to keep structural integrity while still absorbing all the wonderful flavours of the food they have been cooked with. I've noticed that many cooks attempting recipes meant for Castelluccio lentils have actually used Puy lentils - I suppose due to the difficulty in finding Castelluccio lentils but frankly, those dishes are only going to be a pale imitation of what they should be. Lentils with sausages look very interesting, but I cannot print out the recipes. What am I doing wrong? No need to soak them ei? Now that's a relief. 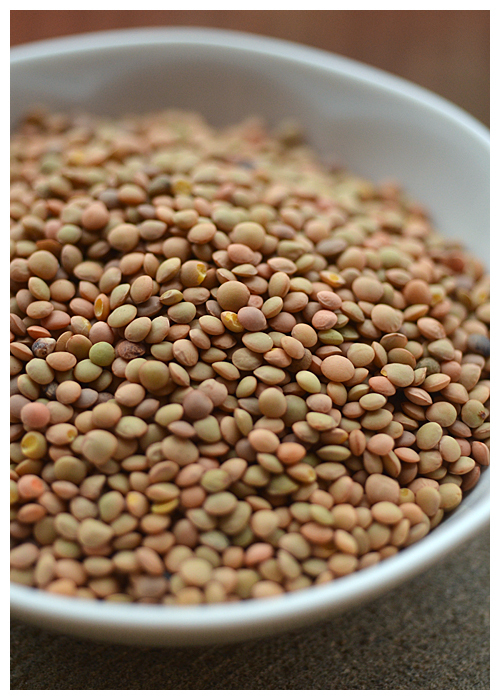 Lentils are very nutritious and a staple for many vegetarians out there. I am eating this right now after being inspired by your post this morning. It is delicious! Thank you! My Umbrian heart thanks you warmly for this lovely post. 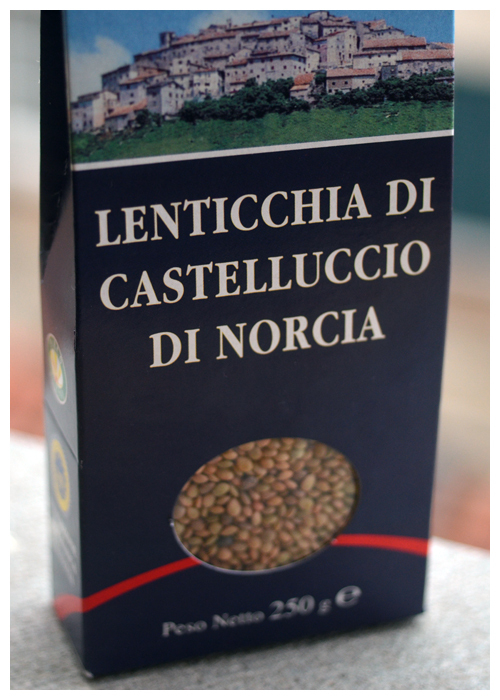 Indeed, Castelluccio lentils are in a class by themselves and once you taste them, you'll understand. It is also the case that our sausages are excellent and basically impossible to find elsewhere. The pairing of lentils and sausages is traditional and makes a satisfying dish. Lovely colors in the dried lentil photo! 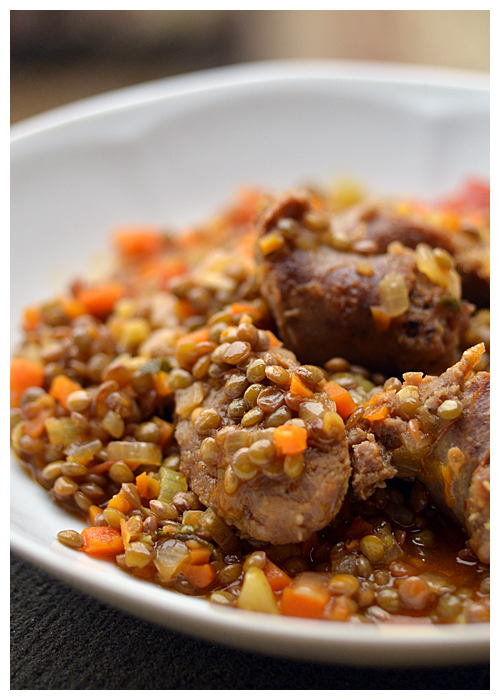 I love sausages, so I know I would love this dish, especially not having to soak the lentils ahead of time. Thanks for all your hard work managing WHB-it's a definite success! Looking forward to hosting in the 6th year! 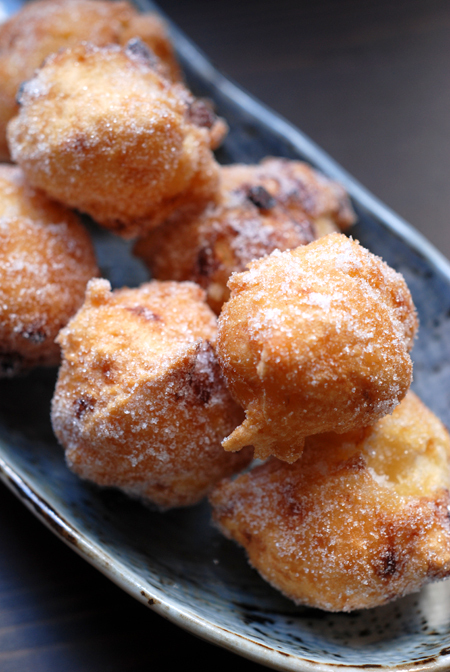 What a tempting dish. That inspires me to break out the lentils here in the northern hemisphere where the cooler weather is surging. Congratulations on the upcoming Year Six of WHB. I will have to cook up something special for this anniversary round next week.